Hotel Opera in Kiev. Hotel Opera Servises: business center, conference hall, laundry, sauna. 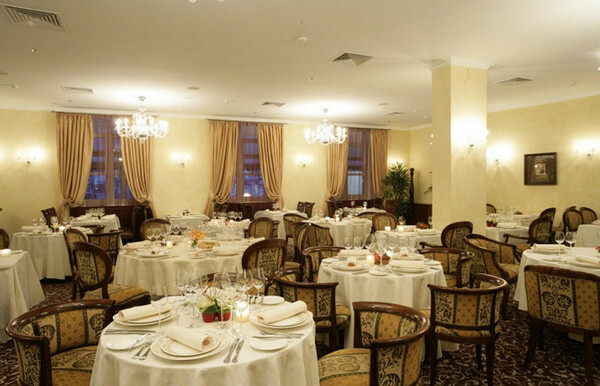 Hotel Opera is located in Kiev district, convenient for businessmen residing, and has all conditions for carrying out of various high level events. 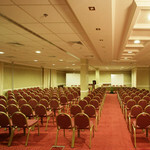 In this Kiev hotel there is a big conference hall Symphony that numbers 250 seats. In the hall there is a screen, projector, illuminating system, Wi-Fi. Seat configuration can be changed. 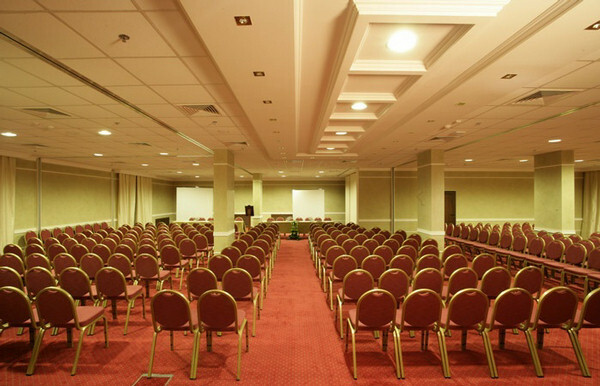 For carrying out of business meetings with a small number of participants, hotel Opera offers a meeting room. In hotel drawing room not only business events, but also cocktail parties or solemn suppers can be held. Diva SPA of hotel Opera gives to its clients all variety of modern achievements in sphere of relaxation, improvement and body care. The beauty salon is decorated in Thai style, exotic aromas soar here and candles flicker. Hotel Opera guests can try treatments with the use of natural cosmetics, massage of all kinds. In salon Diva SPA only professionals work: hairdresser, manicurist and experienced fitness trainer. In aqua area clients can enjoy Finnish sauna and Jacuzzi with several kinds of water massage. 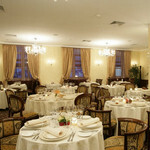 In hotel Opera there is Mediterranean restaurant Teatro. The restaurant is decorated in pastel colors; conditions are notable for aristocratic simplicity and respectability. Restaurant Teatro menu presents a wide choice of dishes, prepared of exceptionally fresh food, and excellent wine list. Top-class interior, cigar menu and rich assortment of drinks wait for the guests of hotel Opera bar named Bellini’s. On the ground floor of hotel Opera, Lobby Lounge under a graceful glass dome is situated. It’s a convenient place for business and romantic meetings.